After the death of her human mother, she was now the only member of the Romulus pack unable to shift and found it almost impossible to live with them. With the Alpha’s permission, she left to travel the country. When she fell in love, she found her place in the world and settled with the man of her dreams on his cattle ranch in Texas before his untimely death. But after nearly a decade away from the pack, Livvie’s life is about to change. Will she embrace this change or fight it? The vampire, son of the Egyptian Sun God Ra, is wandering. His heart is aching, and his soul is restless. 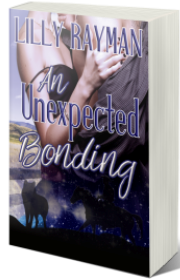 Eventually he finds himself in Texas, working for a beautiful woman with a magnetic pull he does not understand. It’s only when she is taken from him, that he recognises a bond that is stronger than all others. The truth of that bond will shake him to his core. Will the unexpected bonding between wolf and vampire be enough to overcome the centuries of hatred and bring peace and unity to all? Will the wolf and the vampire overcome their own heartaches to accept their bonding and let romance evolve? Best Work and Most Popular Work in the iParchment writing rally 2014.